Despite being almost three hours long, Transformers 4: Age of Extinction introduced so much material that a lot of it was still passed over briefly and left us with many questions. What was a huge revelation on the outside actually had countless levels of questions underneath it – questions that will certainly be explored more fully in the following two films. Though thankfully, we don’t have to wait that long. If we look closely at this film, we can actually figure out a lot of these points ourselves. So without further to do, I present to you the Top 10 Plot Points that were more important than they appeared to be. As with most films, there are always a bunch of hidden moments/allusions to other pieces of media, whether Transformers related or not. Now I’m not going to try to name all of them because I’m sure there’s a lot I didn’t catch; but here are some of the biggest. – When one of the KSI scientist’s phone rings, the ringtone is actually the tonal version of the original Transformers theme song – specifically the part that says ‘Robots In Disguise’. – When one of the KSI lad technicians was playing with the transformium and it turned into My Little Pony, another one of Hasbro’s big toys turned entertainment franchise. – The ‘Remember Chicago’ sign – 855-363-8392? Well it actually works. Go ahead and call them. – The quite guy in the elevator that randomly jumped into action to help beat up the corrupt CIA Agents is actually Zou Shiming, China’s first Olympic Gold Medalist Boxer. Makes more sense now huh? – Much like the elevator boxer, the guy in the car playing guitar when Lockdown’s ship started attacking is Chinese pop star/actor Han Geng. When Cade and his employee are inspecting the abandoned theater early in the film, the man’s father start rambling on about how they don’t make movies like they used to and all we see now a days are awful remakes and sequels. This is totally the film making fun of themselves. They know the past two Transformers films were awful and upset a lot of people. So by pointing this out, they are in a sense telling fans: ‘Yes, we know we messed up and used to fall into this category; but we are confident this film will get it right”. Thankfully, this film did get it right – or righter than the last two – as you are about to find out. In one of my prior articles, I joked about how the presence of an All-Spark and Transformium is basically like a body vs soul debate in Transformers. Well all joking aside, this movie actually went into that. So it’s time to decide what makes a Transformer the Transformium or the spark. In the first film we saw the All Spark, an ancient relic that could breath life into an inanimate piece of metal and turn it into a transformer. 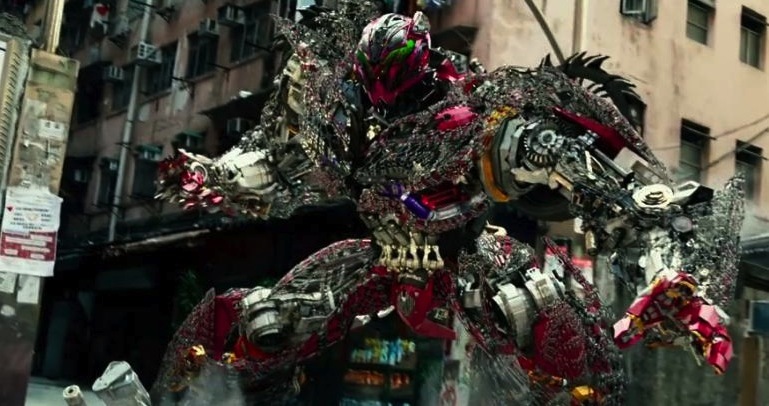 This time around we have Transformium, which aside from being the dumbest named material since Avatar’s ‘unobtanium’, is a rare metal that is what the transformers are made out of. Now the presence of one doesn’t make a full and complete transformer. In the first film, the resulting discharges from the All Spark made some very angry robots, but they didn’t really transform. On the other hand, the Transformium was able to make transforming robots; but without any will or ability to move on their own. 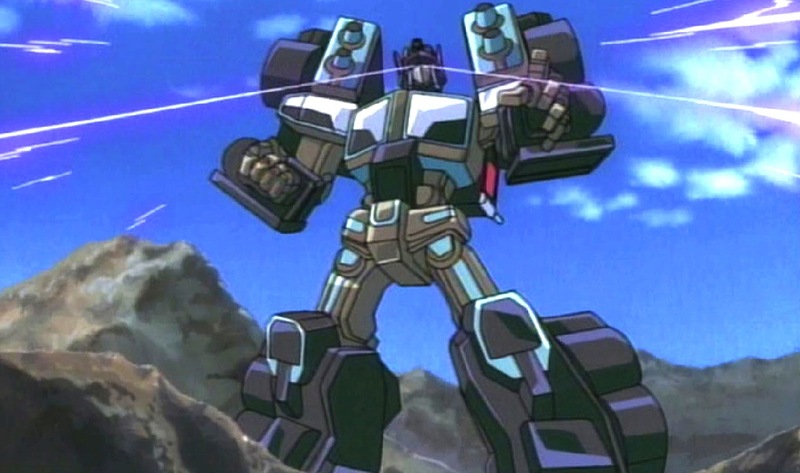 Galvatron became functional because Megatron was using some hidden bots to infiltrate the computer systems and transfer himself into the new body bit by bit. The other robots were all empty shells that had no will or programs of their own until Galvatron used his spark as a catalyst to bring them all to life. Since it was his Spark fragmented, all the bots were basically Galvatron and didn’t have a will of their own still; but at least there was some presence of a spark. In talking with Cade towards the start of the film is when we first hear Optimus describe a spark as ‘everything that makes him him’. This is where Cade tells him that on Earth we call it a soul. Now whether sparks are passed down or unique is another story. We just had a body vs soul debate in this film; so I guess the next will discuss reincarnation or the uniqueness of a soul. Originally the Dinobots were a race of incredibly powerful – yet dumb – dinosaur robots created by the transformers Ratchet and Wheeljack. With Wheeljack killed in Transformers: Dark of the Moon and Ratchet killed at the start of this movie, it was safe to assume this wouldn’t be their origin story this time around. Though having them be legendary warriors that just happened to be captives on Lockdown’s ship was something no one expected. Despite some fans being upset about this and feeling it was kind of a cop-out, this was actually far more favorable to the alternatives. For starters, the film was long enough as it was, so we couldn’t have spared anymore time ‘creating’ the Dinobots. Also, it would have seemed an even bigger cop-out if Optimus and his crew just happened to crash land by a cave where they found the Dinobots. All things considered, having them as preexisting legendary warriors was the best option. In fact, this also gives us some clues about their creation and just how Legendary they are ; but I’ll go into more detail about that later. Origin stories aside, there was a great nod to pre-existing Dinobot history when we saw Optimus and Grimlock fight. In the comics and TV series, these two almost always have a disagreement turned fight. Grimlock is all about power and as the leader of the Dinobots he isn’t open to following someone else’s orders. This is exactly why he and Optimus fought in the movie. To defeat Grimlock in a battle is the only way to earn his respect and allegiance. This sums up their relationship in every other media as well. Grimlock and Optimus might lock horns every once in a while; but when push comes to shove Grimlock will always have tremendous respect for Optimus Prime and fight with him side by side in battle. This is why the Dinobots developed such unwavering faith to Optimus and the other Autobots so quickly. It wasn’t because they wanted to do the right thing – they don’t really have the capacity to think like that -; it was simply because Optimus defeated their leader, thus becoming their new de facto leader. The film ends with Optimus granting them all their freedom so they never have to take orders again; but hopefully we will see them return in the next two films to lend a hand to their former allies and liberators. If know anything about Transformers – or if you looked it up already – you’d know that Galvatron is the reincarnated form of Megatron. The method by which he’s brought back usually changes; yet the origin remains the same 90% of the time. The Galvatron we saw in this film not only kept some of these traits while referencing others; but also incorporated a completely different fan-favorite Decepticon. As I mentioned in earlier articles, Galvatron’s origin story usually changes time to time; but he is usually connected to Unicron, who is for all intensive purposes the devil in the Transformers Universe. It is through Unicron that Megatron is reborn as the soulless, chaos-empowered killing machine that is Galvatron. Though despite being man-made, the Galvatron we found in this film did actually reference some of these historical characteristics. One example was during his fight with Optimus Prime. Optimus accuses him of being soulless, to which Galvatron remarks that that is what makes him stronger (fearless). Not only do we hear that ‘soulless’ description; but the mere fact that he is talking also hints at another Galvatron characteristic. Joyce and the rest of his team can’t figure out how Galvatron was able to talk since it was never in his programming. This whole ‘ghost in the machine’ idea – a computer starts to act upon its own with abilities its creators never imagined – is a constant theme in tech movies. By adding this into Galvatron’s creation story, they were able to still give him that ‘out of chaos’ origin story despite Unicron not being involved. The only thing that was most out of line for Galvatron was his look. Sure his robot form looked menacing; but he is usually the re-colored version of Megatron – remaining relatively unchanged. This time around, his vehicle form was a re-colored Optimus Prime. This whole evil-Optimus idea isn’t a first; but was actually used a couple of times through the series in the character known as Scourge/Nemesis Prime. This character actually became so popular that numerous series of Transformers have adopted this re-color – if only in their toy lines – and some have even remarked that he looks more like Optimus Prime than Optimus Prime – an idea that is also alluded to in the film since Galvatron was supposed to be a better Optimus Prime. Much like how possessing the Tesseract showed the universe humanity was different for a different kind of war in The Avengers, building their own Transformers has given humanity a new problem in the Transformers films. There is still much they don’t understand, which allows all their work to be easily taken over by others (ie: Galvaton taking over the other bots). Hopefully Stanley Tucci’s character, Joshua Joyce, remains in the film not only because he was a great actor; but because he and Cade working together could finally work the kinks out of man-made Transformers. I hope the transforming animation is changed to look more controlled. Yes it was supposed to set them apart from the natural Transformers; but it just looked cheap and the reason we love Transformers is to see just how they twist and turn when they transform from form to form. Who knows what new man-mad Transformers we might see. Perhaps we might even see the massive aircraft carrier known as Tidal Wave – although that might be a bit too complicated for man right now. Either way, this idea opens up tons of new doors that I hope Michael Bay and the rest of his team decide to explore – rather than lock and pretend were never opened. One of the most confusing portions of the film had to do with the notion of ‘the Knights of Cybertron’. The film very only briefly touched upon this idea. So briefly in fact that I feel like I’d need to see it three more times to get it right – but I don’t have 9 hours to devote to that endeavor. What the film told us is that Optimus Prime is one of these Knights; and the Dinobots MIGHT be as well. Though before we start talking about why these character may or may not be Knights of Cybertron, let me explain what this actually means. The Knights of Cybertron is an idea from the comics and it refers to the first Transformers ever made. This also refers to the a few artifacts from that time of first creation such as Optimus’s Matrix of Leadership. So calling Optimus one of these Knights makes him one of the first transformers – whether directly or indirectly by inheriting the Matrix. This is why when Lockdown is talking about how ‘the creators’ want Optimus back, he isn’t talking about transformers in general but Optimus specifically. As for the Dinobots, I honestly can’t recall if they are directly referred to as Knights of Cybertron; however, they are indirectly hinted at being closely tied to them. If Lockdown was indeed collecting the Knights of Cybertron to bring to their creators, then the Dinobots presence on that ship means they might share that title as well. The contrary point to this is that strange spider-like alien we saw spit on Hound. Why was that thing there? Was it another non-transformer creation that the ‘creators’ wanted back? 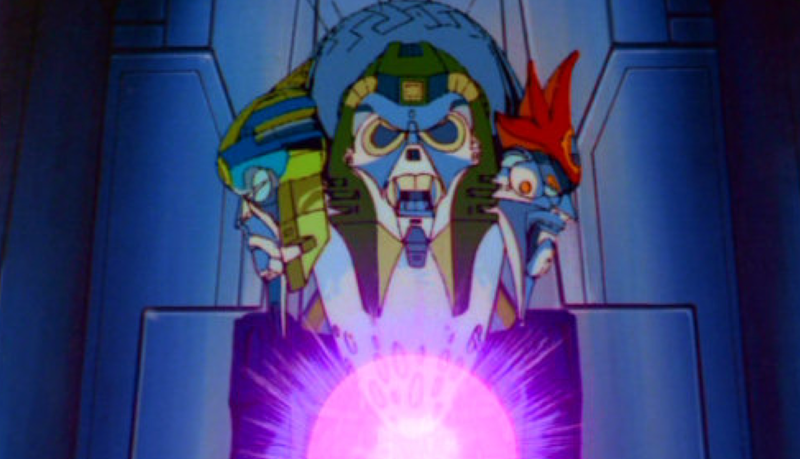 In any case, even if the Dinobots weren’t the first Transformers (of Cybertron), they were certainly one of the early creations of the Quintessons. I’ll go into more detail about this later; but if the Quintessons were cyberforming Earth 65 million years ago, their first transformers would have been created soon after – rather than 5,000 years ago as Transformers: Revenge of the Fallen had made it seem with the seven ‘Primes’. It makes sense that they would create robots in the form of the beings they had just made go extinct. Perhaps the Dinobots are the first of a different breed/evolutionary chain of Transformers. The Primes could form the Cybertron vehicle-esque branch of Transformers; and the Dinobots could form the more biomechanical Transformers we find in the Wolves, Scorpinoc, Ravage, etc. Either way, the Knights of Cybertron will play a major role in the following two films – as well as the Dinobots hopefully since they are so closely tied to the ‘creators’. One of the greatest things about this movie was how unlike the previous installments, the human characters actually served a purpose more than just ‘get in the way’. In the past films, humans were either there to help the Transformers find something or be protected. We see how tired Optimus is of this trend – as well as the audience – ;but this time around, things are different. We finally saw man and transformer not only following their own stories; but also pulling their own weight with each other. Cade is trying to get his family’s life back and Optimus is trying to stop the slaughter of his kind. Unlike past films where the human is more or less along for the ride, Cade steps up and leads along side Optimus. We see these two interact as equals – not protector and protected – at various points in the film; but the best has to be towards the end when each is fighting their respective nemesis (Optimus vs Lockdown, Cade vs Attinger). Just as Attinger is about to kill Cade, Optimus kills Attinger – thus repaying the debt he owed to Cade for saving his life. This of course gives Lockdown the upper hand and lands a critical hit on Optimus. Cade doesn’t hesitate a second before jumping in to battle the powerful Lockdown. It’s unbelievable to think that a human could fight a Transformer, let along Lockdown who is one of the most powerful and skilled yet. Cade isn’t the weak and in-need-of-saving human we’ve seen in past film. He’s ready and willing to fight alongside Optimus. It is through his help – as well as that of Tessa, Shane, and Bumblee – that Optimus is freed and able to finish the battle together. Speaking of Tessa and Bumblebee, there is a moment in the middle of the film when during one of Cade and Optimus’s talks, they jokingly compare Tessa and Bumblebee as the rebellious teens. This comparison will come in full view during the same fight scene we spoke of earlier. Both were supposed to be elsewhere; and yet they didn’t listen and came back for their respective ‘father figure’. This is all why unlike any film prior, here we see man and transformer standing as equals, as one. The greatest improvement of this film over the past installments had to be the character development of Optimus Prime. In movies such as these, its easy to forget the Transformers are characters too – subject to the same critics of personality, growth, etc – and for the first time Optimus seemed like a real person. He wasn’t just ‘let’s do the good for good sake’, he doubted humans and wanted nothing more to do with them when we first find him. Hearing the rage in his voice when he learned of Ratchet’s death – Ratchet, who had been a part of the franchise since the first movie. It is through his conversations with Cade that he begins to trust again; but even so he is done with protecting humans. What Optimus does at the end to get the ‘seed’ out of the city is his last straw, his last gift to humanity – and he means it. When the movie ends, Optimus isn’t sitting around making Earth his home again/standing guard over new threats. He ventures out into space on his own to find answers. Humanity wanted Transformers so much, now they can make them. He has no reason to stay when there is a bigger question gnawing away inside him. What he does now he does for all Transformers to an extent; but at the heart of it he is doing it for himself. The fight between him and Lockdown was personal; and who ever wanted Prime back so badly is going to have to answer for everything. So just who are these creators? Well, as I mentioned in an earlier article, they are known as the Quintessons and these are the beings that created all types of Transformers. By including them in this film, we not only get the groundwork for an entire new trilogy; but also expand the universe to incredible new lengths of space and time. From the opening of the film, we see the hand of a Quintesson activate a ‘seed’ weapon, which was used to cyber-form the Earth. Contrary to what some believe, this weapon did not turn organic material into transformers; but rather into the rare metal known as ‘Transformium’. The Quintessons used this on various planets in order to create enough raw materials to create Transformers. So the metalized T-Rex seen at the start wasn’t Grimlock; but rather a T-Rex skeleton encased in that metal. The presence of Quintessons in this new back-story opens a lot of doors for this new trilogy; but also creates a few problems for the original trilogy – or does it? As I started to talk about earlier, we saw the Quintessons cause the extinction of the Dinosaurs, which places their time frame back about 65 million years ago. Whether they started making the Transformers a little after this or before this, this is absolutely a HUGE difference in time compared to the creation myth about the 7 Primes we got in Transformers: Revenge of the Fallen. How can we be expected to believe that in those millions of years time difference, only 7 Transformers were made? Of course, there is one way to rectify this; and that’s by remembering that the story of the Primes was a myth. Maybe they were the first, maybe they weren’t. Jetfire could have been wrong; but they wouldn’t have known it. The Transformers don’t know who created them so the presence and plan of the Quintessons predates them by millions of year. The final question that this opens up is why did they need so much Transformium. Joyce remarks that one seed blast set up in the middle of nowhere could give him enough raw material to make hundred upon hundreds of Transformers. The Quintessons cyber-formed whole planets, so what did they do with all that raw material? As I mentioned earlier, the Transformers didn’t have to be the only creations of the Quintessons. The Dinobots and other beings would have been additional projects for the Quintessons to work on; but that still doesn’t explain ALL of the Transformium. Something that could explain it is the presence of larger transformers. How large? Think the size of a moon or small planet. Unicron and Primus are two of the biggest names in the Transformers Universe and basically represent the God and Devil of their mythos. The Quintessons would have built these as well; and since Cybertron is sometimes Primus himself in some storylines, a planet-sized transformer that could make more transformers could definitely be something on the Quintesson’s to-build list. Wherever this trilogy is going, we know it will encompass a much larger scope than the prior trilogy. With Optimus on his way to find out about his origins, we can be sure the next installment will answer a lot of these questions. Overall, Transformer 4: Age of Extinction was a great film compared to the others; and if you don’t think about the past trilogy, you’ll enjoy it even more. Hopefully the Dinobots will return because their presence – and the overall use of source material – was what made this film the resurrection the franchise needed. The film wasn’t perfect though. So here’s a list of the Top 7 Things That Need Fixing. Very good article, I liked it a lot. Especially the Easter eggs at the beginning. Just to comment on the end here about the Transformers creation. The 7 Primes and the Quintessons don’t have to be mutually exclusive. They could take a beat from the new Transformers: Prime mythos. Basically the first TF’s were created by Primus, they being the first Primes (13 in this case); and in events too complicated to get into here they laid the groundwork for the creation of the Cybertronian race. Then, millions of years later, the Quintesson’s discover Cybertron and “grant” them the power of transformation; a power the race actually already had but had just never accessed until then, thus “creating” the Transformers. The Quints then basically enslaved them until they drove them off. However it’s also hinted at that the Quintesson’s may have been created by one of the original 13 Primes themselves. Optimus being one of the original Transformers could have also been taken from this mythos. Basically he was one of the original 13 Primes, but in order to learn more about the evolving Cybertronian race he pretty much sacrifices himself and get reborn as Orion Pax, and ordinary Cybertronian. But if “Optimus” is even needed again they can bring him back by giving him the Matrix of Leadership as it would restore all his memories and personality of Optimus Prime. This is all in the Covenant of Primus book that came out a few months ago. If you’re interested it should be hard to find at retail still. Wow, very good point. I’ll try to find it and give it a read in my spare time; but you’re right. There could be more to the story; hopefully they just explain it well. But in this film’s case, it seems the Quintessons predate the Primes by a few million years. Either way, hopefully the next films explain it properly. Point 3: About humans being weak and seemingless useless in past films? Ok, how about Lennox and his team taking down Blackout? Both Devastators (tank AND Construction combiner)? Sam killing Starscream AND Megatron? Had a feeling I’d have to clarify that one. Yes, the military men fought along side and were strong; but i meant the main characters that were with the Transformers. So basically Sam and company; and whereas they did take out a Transformer here and there, it was all by luck basically. Sam plunging the Cube into Megatron’s core could have made Megatron stronger. That fight with Starscream weakened him but was a bit of luck as well. But in the end, even if you count these moments, 7/8ths of the time it was Sam being rescued or running screaming. Contrary to Sam and them, Cade spent 7/8ths of the time being a leader. Whether he was spying or fighting, he was doing it all on his own. Not because he was military trained to do this; but rather because he stepped up and did what he had to do. He and his family weren’t with the autobots because ‘they had to be kept alive’; they chose to go with them because their goals were aligned. In the end, humans had a more complete role in this movie rather than be either a trained professional or bunch of kids with either great luck or awful luck. You don’t need dumb luck or professional training to do great things, you just need the drive and determination to stand up and fight back. That’s what this film did. Wow, very insightful indeed. It’s refreshing to read a blog with an unbiased perspective, showcasing AoE’s pros and cons, been searching for these, nice read! The Quintessons possibility is really interesting. I’m quite naive with the entire TFs lore, so knowing that TF5 might tread an entirely TF centric territory is exciting! As Mr Turner also pointed out, its such a deep lore to which Kruger or other writers can take elements from and make it a space TF opera we’ve all been waiting for, sans the humans. But can a human-free TF really be achieved.? Any thoughts on what they’ll do with the Galvatron arc? I don’t think there can be a human free TF; but i think Cade and Joshua could be strong dynamic characters if they continue to grow them out. The same can be said for Bingbing Li’s character. A lot of potential, which could leave the focus of ‘humanity’ on them and introduce more transformers with less humans. As for Galvatron, I feel like he’s going to be a continuing nuisance for a while; but in the end will team up with Optimus when the Quintessons and/or Unicron make their entrance since their arrival would spell doom for them all. Then again, Galvatron could join Unicron depending on what type of Unicron story the writers go with. Too soon to tell; but his role will become bigger soon. It would be a breath of freshair if there were less humans and more of the space elements, nonetheless Wahlberg’s and especially Tucci’s performances are quite noteworthy this time around. Perhaps they would bring contribution on the Galvatron arc.. oh well here’s hoping the studio takes another director and writer to give it a fresh spin. I’m glad you alluded to the Quintessons in the beginning and the tentacled hand they showed on screen turning the world into metal. I’ve been rummaging around the internet since I saw the movie wondering about it, and was thinking I was about the only one who noticed. The Quintessons were intergalactic robot manufacturers, so it’s not a big stretch whatsoever to make big, destructive, super dino warriors 65-ish million years ago when they saw the creatures they were turning into metal. It makes multitudes more sense than whatever other ideas I’ve heard to excuse their existence. Someone mentioned the original Optimus being reincarnated into Orion Pax, who then became Optimus again. Already been done in the recent ‘aligned continuity’. Works for comics, would sound silly on screen. Already saw what happened when they did the whole Sam visits the transformers afterlife in the second film. Wouldn’t surprise me though if Optimus was a Quintesson plant/sleeper agent who didn’t turn out like they intended. Sort of like how they ‘revived’ Prime in the original series as a ploy in order to kill off the autobots. There are different types of Quintessons than the five faced Judges, so Bay and TF 5 writers have an awful lot of material to work with just in case they think a biometallic alien with spinning faces looks a little too goofy for film. please bring back lockdown please..They could make lockdown into a anti-hero. Since they for some dumb reason killed jetfire. Maybe KSI can rebuild him, so they can retrieve more info about the creators. lol… I just think lockdown stole the show in AoE. Good article, but you got one thing wrong. Ratchet didn’t build the Dinobots, Wheeljack did. But he died in 3 so the point stands. Actually, it was Ratchet and Wheeljack that built the dinobots in the original G1 cartoon. I think Soundwave built them in the Fall of Cybertron game though. But yah, I’ll add in Wheeljack then since it was both. Thanks Chris! On the Knights of Cybertron: In the room thing that lockdown said he was using to gather up the 9 knights, there were other aliens, not just transfomers! (EX, the one that is shot and another one that is briefly shown). And when optimus says that he calls on the knights, only 4 come to join him. I thought that the knights might have been original forms of sentient life from different planets in the universe or something like that. Thoughts? I hope they explain it more in the next movie. Frankly, Optimus v. Megatron/Galvatron is not what I want from that. So then that’d mean the Dinobots were Knights as well. Thanks Gautam. And I think the Knights will be Transformer based since they are the Knights of Cybertron. well Optimus wanted the bravest knights that are compatible enough to fight the war that’s why he released those four knights. Two things was I the only who realized there was a slight reference to ultra magnus in the movie. There is a scene where there is a white cab car carrier that was pulling into the secret base? Also lock down didn’t just have the Dino bots he also has optimal primal. There is a brief scene when the camera pans in lockdowns ship and there is a huge gorilla behind a bars in a cage. Did you notice that Age of Extinction also seemed to have taken some inspiration from Transformers Animated? Of course anyone can pick out that Lockdown originated from that cartoon and Hound looks and acts more like Bulkhead, but there was also Megatron,s head fooling humans into building him a new body. How the Dinobots were set free in the end was similar to their debut episode in Animated. I also found the inventor-father/daughter relationship between Cade and Tessa reminiscent of Professor Sumdac and Sari. That was supposed to say “Megatron’s” head. Pleeeeeeaase…in this movie Cade fights hand to hand with Lockdown and was not dead (funny he was supossed to help optimus and that almost killed optimus,and the fact that he was using handgun just small enough for human but so powerfull that could kill many transformers) , girl looks looks like model again (every girl in US look like this ? really? ), Cade is scientists with musculature from tango and cash movie, explosions don’t make any blast , bumblebee act as dumb teenage, robots which supose to have thousands of years acts not like veterans but like some hot rookies – besides the fact that they look like humans they still quarrel and want to destroy or revenge something , even human veterans are much more mature, stupid actions folows stupid actions… Eh Bay destroyed my favorite universe…i would be glad if there was no more film from him. That could very well be! I guess we’ll see in Transformers 5 which it is. There is a scheduled release date for the next movie which is june 24th, 2016 but i believe its a tentative date seeing how they don’t have a cast listing out yet. I personally would like them to take their time with every aspect of the movie and not have them just throw it together. 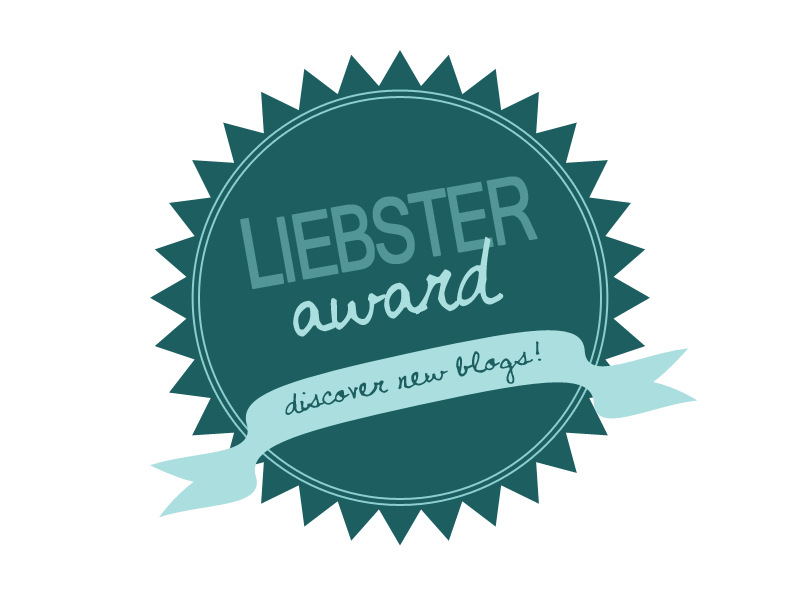 By the way this detailed blog if you will was very very very insightful and resourceful it touched on a lot of subjects i had questions about thank you for that! Also, thanks for the heads up on Transformers 5. If it’s releasing 2016 then they should start shooting early to middle of next year. But i completely agree, they need to take their time with it and not just throw it out there. There’s so much potential here that it’d be a shame for them to waste it. An all space TF would be pretty amazing. It could be set after AOE or a prequel set on cybetron. A Transformers film of ‘The great war.’ or the wars we’ve seen snippets of set on cybertron in the first movie megatron leaving for earth to find the allspark and the 2nd showing the arc leaving cybetron. The footage could be put in a complete movie and all come together. War for cybertron/Fall of cyberton movie(s). So this is the question I want answered, that is how is Optimus both a descendent of the Primes and a legendary knight. Movie 2 claims Optimus is a descendant of the Primes, indicating he was created between 17,000 and 10,000 B.C (the time period between the Fallens rebellion and the Allspark crash on Earth). Yet AoE claims he was not descended from ANYBODY but was created specifically by the Creators. These two views seem irreconcilable. Either he was descended from the Primes, or he was a Knight created by the Quintessons. Can anyone help me out as to how he can be both? or is this just a huge plot hole due to horrible movie writing consistency? Well as I said in the article, the Primes story was a Legend, so Jetfire could have been wrong. The Transformers might not even know who truly made them. Maybe the Primes were the first in the race of non-animal Transformers, and Optimus is the inheritor of the Primes spark. As of the moment, it needs a lot more explaining in the films. I could come up with theories all day, but the way they go with it is up to them. 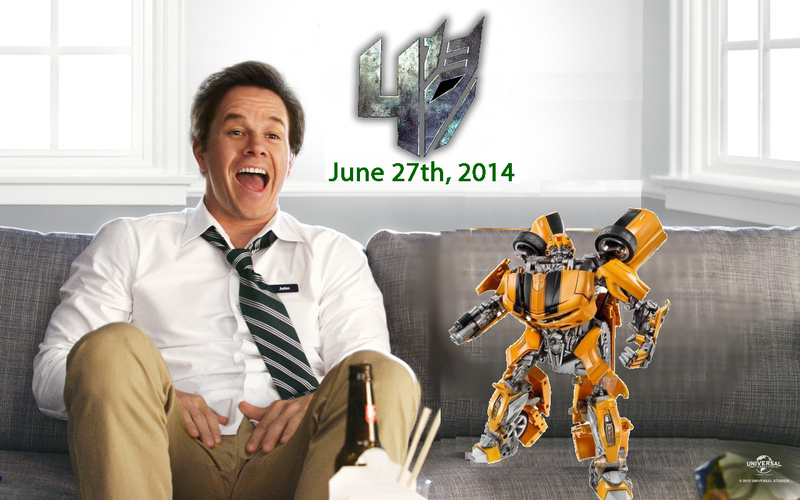 HOPEFULLY Transformers 5 – or one of the prequel movies planned – clarifies this more for us. In the end, they might erase/gloss over some of the lesser film entries. So awesome. So much info here. Congrats on creating a SUPERB page.